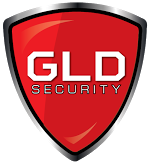 When it comes to Door entry systems, GLD security covers everything off. We provide full installation, repair and ongoing maintenance and support across Edinburgh and surrounding areas. Door entry systems provide ultimate security to homes and businesses by clearly identifying the visitor before entry is granted through the use of a voice intercom or video intercom. These security systems are often found as the main source of security for blocks of flats, in schools, hospitals and at the entrances to large commercial and industrial premises. Home owners that live in a flat or a community property can restrict access into their stair and to their flat or community door. Often, having a door entry system can also be an indicator to insurance companies that you are taking necessary precautions to protect your home and belongs and will often result in a discount from your insurance premiums. Verification as to who is looking to gain access into the building through the use of a two way speech system. Verification as to who is looking to gain access into the building through the use of a two way speech and video camera which is a function built in to the door entry system. This system offers slightly more security than the traditional voice operated door entry systems. We want to be known as the most efficient door entry system installation company for the Edinburgh and surrounding areas. Our systems are fully guaranteed and offer maximum security. For more information as to how these systems can offer ultimate security to your block of flats or community property, please do not hesitate to get in touch.